The first study of the popular Daily Mile initiative—which involves children taking a 15-minute break from class to do physical activity—has confirmed it improves fitness, body composition and activity levels in participants. The study was jointly led by Dr. Colin Moran and Dr. Naomi Brooks, of the University of Stirling's Faculty of Health Sciences and Sport, and Dr. Josie Booth, of the University of Edinburgh's Moray House School of Education. It also involved a number of other experts from Stirling and the University of the Highlands and Islands. Dr. Moran said: "Our research observed positive changes in children who participated in The Daily Mile intervention, compared to our control school where the scheme was not introduced. The research team conducted their research at two primary schools within the Stirling Council area, with 391 pupils, aged between four and 12, participating. Each child underwent an initial assessment and then a follow-up later in the academic year. Between times, one school implemented The Daily Mile, while pupils at the other—known as the control school—followed their usual curriculum. Revealing the findings of the research during a special event at St Ninians, Dr. Brooks explained: "We observed a relative increase of 9.1 minutes per day in terms of MPVA and a relative decrease of 18.2 minutes per day in sedentary time. Children at the intervention school covered, on average, 39.1 metres more during the shuttle run, while their body composition improved too." Dr. Booth said: "Schools can help support pupils to be more active by taking part in The Daily Mile. The benefits of an active lifestyle are wide reaching and important for education as well as for health." "I am delighted that this new research underlines what I found and I look forward to the day when every school does The Daily Mile. 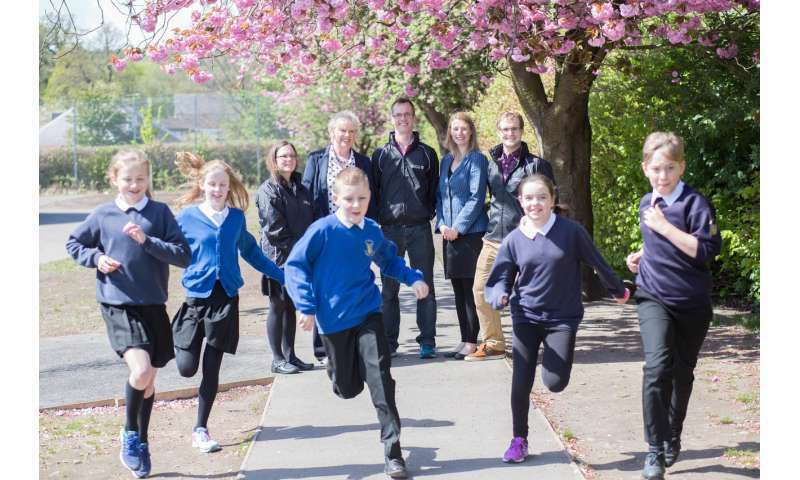 "Susan McGill, convenor of Stirling Council's Children and Young People Committee said: "Improving children's health and wellbeing is a key priority for all schools and nurseries in Stirling.